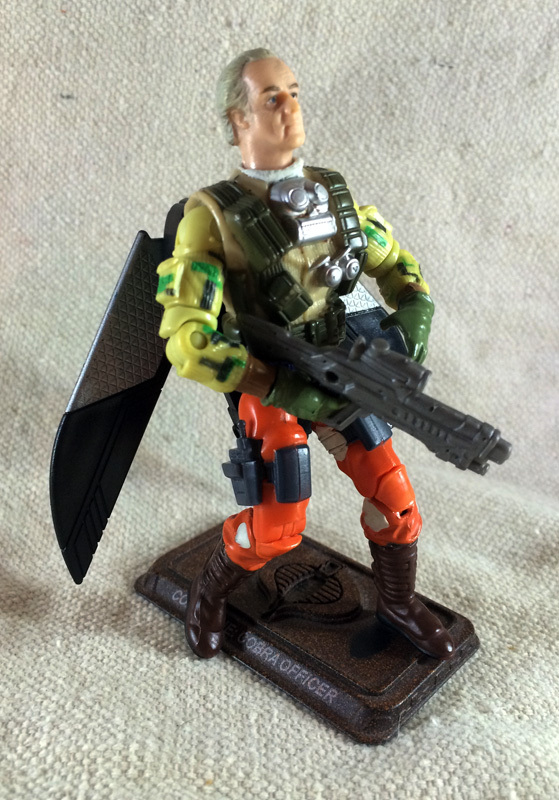 It's fun to see what the GI Joe Collector's Club has done. The Flying Scorpion figure looked great. But, as alway, it's satisfying and much cheaper to make the GIJCC characters without using the same parts. In this case, a mix of New Sculpt, 25A, and Star Wars parts mimic the look of the original Brazilian figure and some of the GIJCC elements. Just by coincidence, the Red Spot arms and Heavy Duty chest/back have the same texture, tying them to each other nicely. 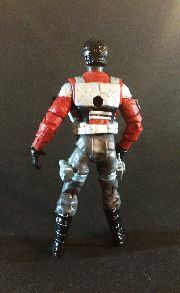 There's also some good sculpt work on the Heavy Duty chest/back, but collectors/customizers overlook because it was a t-crotch figure. Because the original ARAH figure used a recolored Cesspool head, it featured a scar through the face. Instead of duplicating the scar, I left this custom without it, to make it look a bit different than Cesspool. The Palpatine head featured the receding hairline and swept back hair of the Cesspool head. Because the Heavy Duty chest has a sculpted-on mask, Flying Scorpion doesn't get a helmet. The GIJCC's major contribution to the design was replacing the parachute with a winged jet pack. The one the GIJCC used looks more menacing, but the one I used gets the job done. 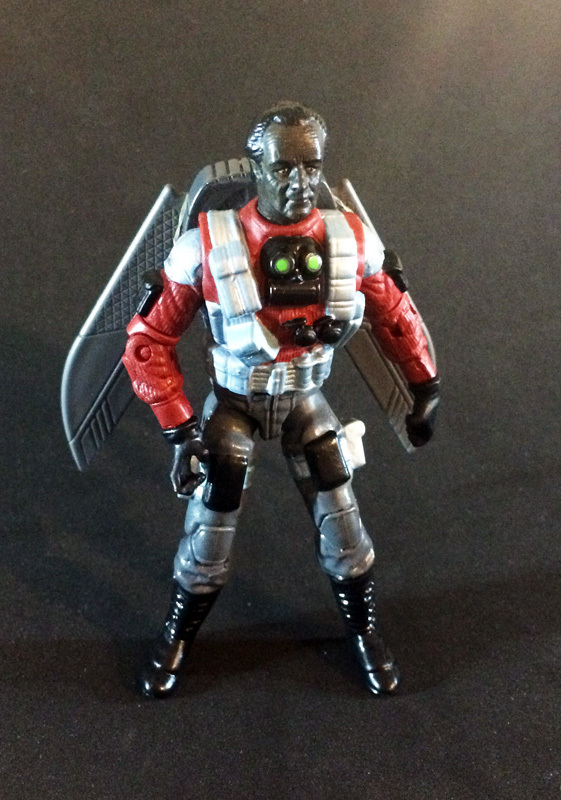 Based on the Estrala figure, plus a shot of lime green on goggles lenses of the sculpted-on mask. 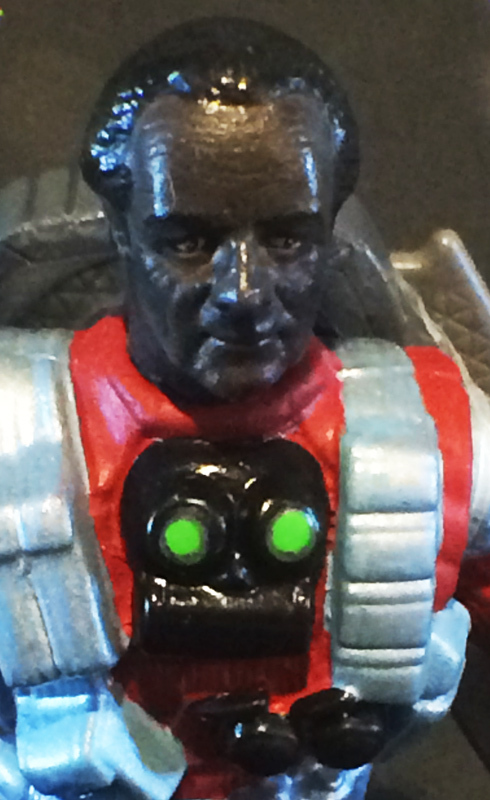 The shoulder sockets were reworked to accept the arms. 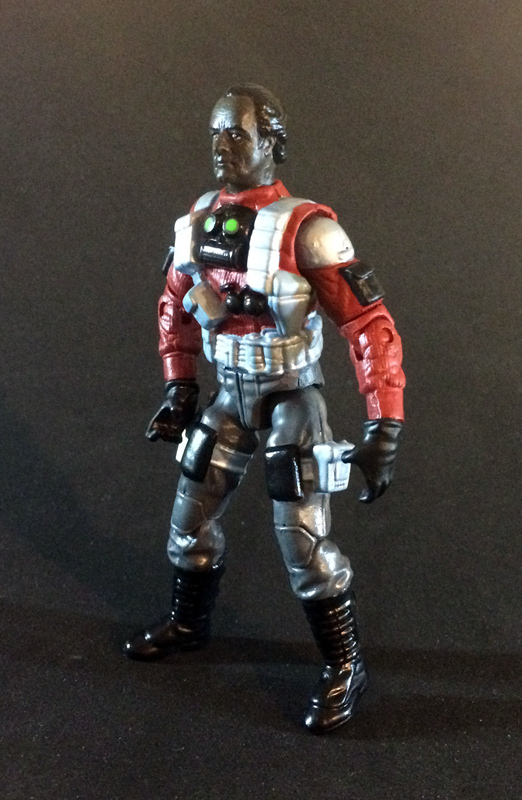 The tiny Red Spot hands were replaced with the larger Roadblock ones. The waist of the Para-Viper was cut and reworked to fit into the Heavy Duty chest/back. The Barbecue boots were chopped off and replaced with the Ric Ollie ones. The thigh screw insets and the knee pin articulation insets were epoxied smooth.